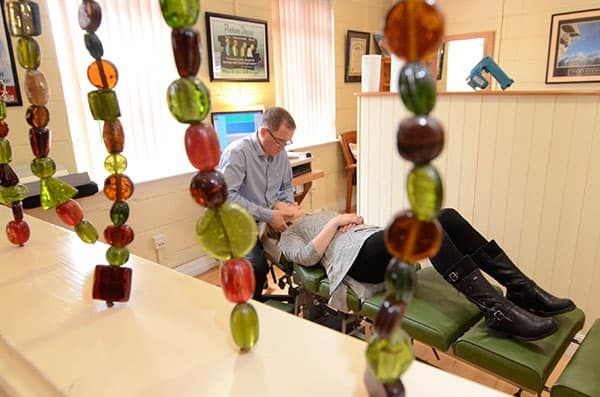 Please click on our patient testimonial videos below to see what other people have achieved through natural Chiropractic care here at our clinic. 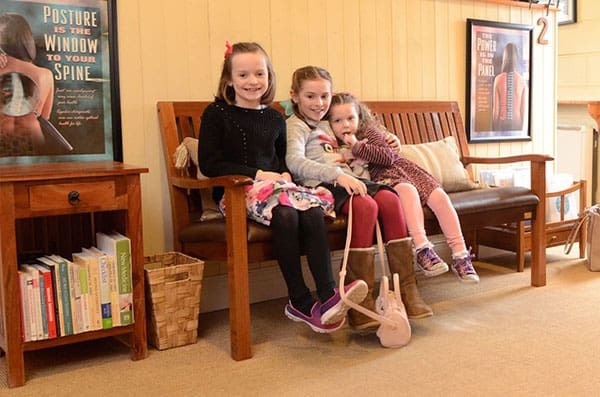 Before coming into the Total Health Chiropractic Wellness Clinic, life was seemingly fine for my 3 little girls. Like any other children, they got the odd bout of colds and flus, but for the most part, they were fine. However, once I introduced them to regular adjustments with Dr Tim, their wellbeing improved significantly. In addition, they LOVE going to see him, and happily jump up onto the table for their monthly adjustment. Dr Tim and all the staff in the clinic are very friendly and personable. There is a lovely warm atmosphere in the clinic where children are allowed to (and are even encouraged to) be children. We have never been in the clinic without a full belly laugh from Dr Tim, and that speaks volumes. The play area is ideal and it is just a fun place for kids to be. What sets this clinic apart from others is how (my) children literally run in the door. 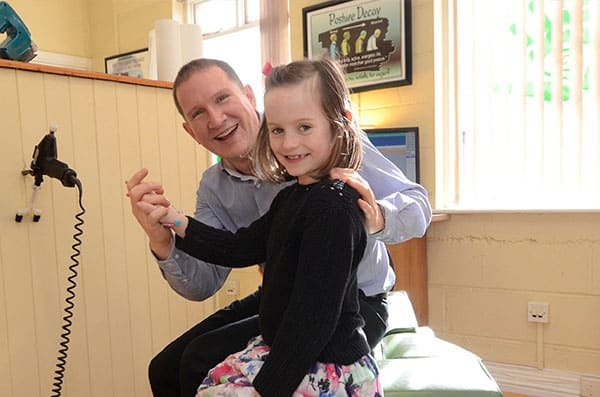 Even at home when I mention that we are going to Dr Tim’s there is always a collective ‘hoorah!’ My kids get to learn in a friendly and safe environment about the importance of their posture, their health and their overall well-being. This clinic is one I would recommend to anyone looking for a chiropractor, and to anyone who has never been to a chiropractor. Age is irrelevant, as the team here will look after everybody, and they are a truly wonderful team. Chiropractic care is not just for a sore back – my initial misconception over 10 years ago when I started coming here – it is for total lifelong health and wellness. I have been a client of Total Health Chiropractic Wellness Clinic since 2010. I began my journey with a back issue, which caused me difficulty in completing the simplest functions; e.g., standing for a period of time and walking any distance. I undertook an intensive program of care, which required commitment, patience and a good ear to listen to the professional advice given to me by the team in the clinic. 7 years on I am still attending the clinic and I’m on a wellness program. The care, attention and professionalism has allowed me to return to living a normal life. Before I came to the clinic, I was experiencing a lot of soreness from my upper back and sore neck on and off for a few years. I met a chiropractor from this clinic in Douglas Shopping centre and decided to come along for a consultation. Following this I found out I had subluxation. My posture and neck stiffness has improved over the years. 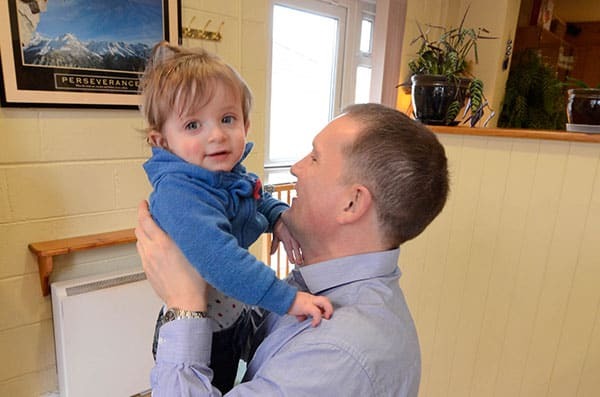 Apart from myself, Dr Tim has been very helpful in treating my children for ‘flat head syndrome.’ As well, I find that the clinic is very accommodating when arranging appointments. It’s a very suitable clinic for children as they have a toy room. Appointments are very short too, with very little wait time. 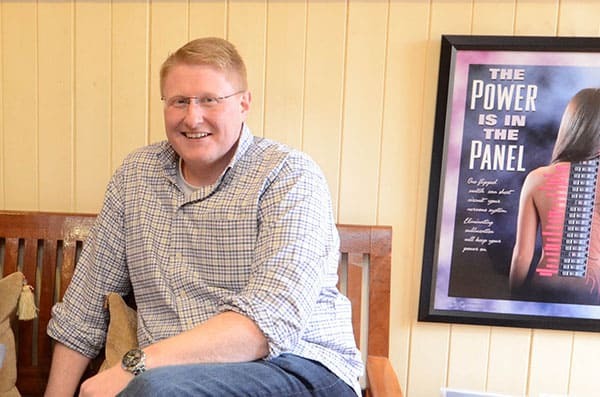 I would recommend the clinic as treatments are comprehensive and it is easy to discuss concerns with Dr Tim, he is very approachable and knowledgeable. Great clinic,thanks to doctor Tim who has done brilliant job for me,i had large disc protrusion and thought would end up on a surgery table,here i am after 12 weeks(twice a week)of therapies feeling great and pain free..I also want to thank to all the staff you guys are awesome..
My wife Ger broke her back almost three years ago due to a fall. After six weeks in hospital followed by nine months with a back brace, she lived every day in severe pain, never ending. As time went by it subsided a little but then came back with a vengeance with no reason about a year later. Throughout all this time and despite many visits doctors and to two well known specialists she got no relief and described the pain as 10 out of 10. 10 being unbearable It was then we heard about Dr Tim. After an X-ray, a careful assessment he began with three adjustments centered on her lower spine. After the first visit on the way home, she said she felt considerable relief. After another three sessions the following week she described the pain level as down to 6 out of ten. Then after two or three more visits, it went to 4, to 2 to 0. It was an unbelievable recovery. Now two years and with about four 'top-up' visits a year, she is 100% pain-free and fit and well, out and about as normal. Dr Tim worked a wonder. He has an exceptional knowledge of the body and how it works, the wellness and in this case the mechanics. The clinic has my telephone number and has my permission to pass it on to any inquirer where I will be pleased to take a call and confirm all the above. Pain now 0 out of 10, Dr Tim 10 of 10. I would highly recommend Dr. Tim and the clinic. I have been going here since 2014 and it has changed my health and lifestyle. His positive attitude to helping and giving information to me on my health issues has been top notch and I cannot thank him and the staff at Total Health enough. Until I went to see Dr Jaeger, I actually had no idea that I had a curve in my spine, although I had suffered for most of my life with back pain I had never been xrayed. The first thing Dr Jaeger and his people do is send you for an xray, after that he determines what the course of treatment will be. After several months of treatment and adjustments my total health has improved, I have very little back pain now, I walk easier, as a matter of fact I feel taller! I would highly recommend Dr Jaeger and his clinic, sometimes people rely on pain killers and just suffer as I had done, do yourself a favour, and book a consultation. I have never looked back since mine.